So, there’s a range of options available to our medieval relic-manufacturer, he with a gleam in his eye, having been tipped off re the invisible ink trick. He could have done it my way, and impregnated the linen first with sugar solution, fruit juice whatever, and then using a heated template to imprint. That would explain the negative image, and indeed one might venture to suggest that a negative image was indeed the prime objective, if the aim was to simulate a sweat imprint. However, there’s still more mileage in the invisible ink scenario since it does not preclude a painted-on image. While no fan of that idea, primarily because it calls for painting a negative image that might seem somewhat avant-garde, certainly for the medieval era, it has its merits. . . . In fact the technique is so adaptable, so replete with possibilities for modifying this or that detail to achieve the most pleasing and ‘convincing’ end result that I confidently expect Occam’s Police to descend on me as soon as word leaks out from these otherwise private musings, warning me against multiplying entities unnecessarily. Am I ready to announce to the world that the TS was (or could have been) produced by invisible ink technology, an application of parental pre-TV, pre-computer era stock-in-trade for entertaining children on a wet afternoon? Nope, I need more time to potter around, . . . The lemon juice effect is so potent, sensitizing linen to a deep scorch that would be unobtainable in its absence, that I’m inclined to think that so major effect might very well be the key to understanding the nature of the TS image. But what is the chemical basis, if it’s neither sugar nor organic acid that is the scorch-promoting factor? What happened to your invisible message? What other liquids work well to make invisible ink that develops under heat? When you painted the lemon juice solution onto the paper, the carbon-based compounds were absorbed into the paper’s fibers. When you heated the paper, the heat caused some of the chemical bonds to break down, freeing the carbon. Once the carbon came into contact with the air, it went through a process called oxidation, one effect of which is to turn a darker color. Oxidation doesn’t always need heat to occur. Some fruits themselves can turn brown from oxidation. Think of an apple or pear slice that is left out on the counter for too long. I like this avenue of thought very much. I wonder if the human body might excrete a bodily fluid that mimics ‘invisible ink’ (i.e. 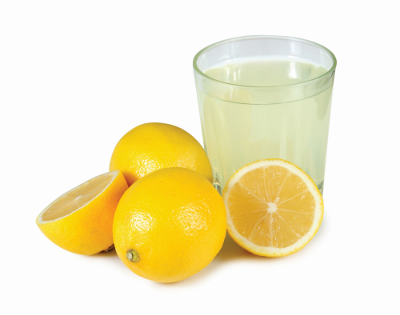 lemon juice). Might a crucified victim’s sweat have been naturally altered somehow to become more acidic? If a person can sweat blood (a medically documented phenomenon) what other unusual sweats might occur? Or did the sour wine mix with the sweat on the body (or after being consumed). And what then was the heat source that carbonizes the image? Light? Radiation? What if, as has been speculated before, the linen contained no discernible image at first (but was still kept because of the blood stains). Then the linen was held close to lamps or candles to be shown and the heat carbonized the image. This might have occurred months, perhaps years, later. These are authentist avenues, of course Colin will be more interested in the artisan avenues. Either way it’s a fascinating path to tread. Wouldn’t the relative uniformity of the image represent a challenge to the possibility that the image was created by any sweat by-product? The density of sweat glands is hardly uniform, even if the subject was sweating so profusely that he was literally covered from head to toes in sweat that hypothesis would still face the same issues of the MR and other “natural reaction” theories. You can’t disregard the fact that the back was supposed to be lying directly on a flat surface and the distribution of liquid/gases/et al. would not be uniform. I should have used “fluids” instead of “liquids”, but you get the idea. That’s a lot of lemons to spread over a cloth of 8m^2. However it seems we may be tracking back to a chemical origin of the image. I’m sure I read recently, that quasi-crucifixion victims during the Nazi era were found to sweat profusely, more so if they had been previously traumatised. Would that do it?